I'm beginning to really lean toward this caliber on the at platform for my wife's deer and elk rifle. I have read a lot if good about it. Does anyone have some bad things to say about it? 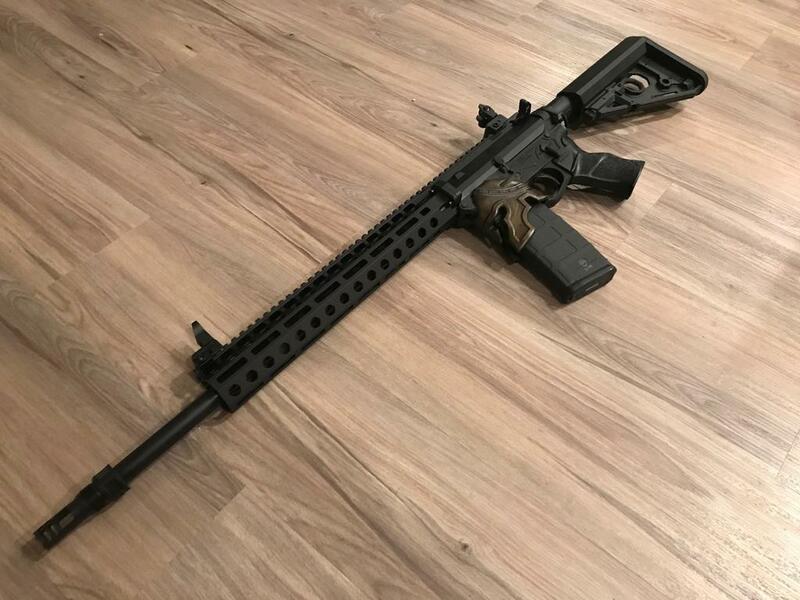 We just put one together for my dad using LaRue's upper. Pretty badass rifle and hopefully we will take it out this weekend. He put it together for deer/elk. I put mine together with the intention of using it for hunting. For me hunting is way more about walking around with a rifle than actually shooting a critter so I tried to keep mine short and light. SouthPaw, I'm assuming the magazine in your dads rifle is just for decoration? Or are you managing to use 5.56 mags with the Grendel? Ok, so I took a 6.5 elander mag and a 5.56 usgi mag apart. Identical. Followers are the same, grooves in the sheet metal are the same, curve of the mags are the same, metal thicknesses the same. Only difference I can find is gloss black, vs flat black paint. My 6.5 mags have a wider gap at the top than my 5.56 mags. I can get pictures tomorrow if that doesn?t make sense. Yes, just for photos. He picked up some Elander mags but curious to compare them now. Surely someone has tried using regular pmags before. So, comparing my 6.5 mags to my 5.56 mags there does seem to be a minor difference in the gap between the feed lips. I compared a fifteen round 6.5 magazine to a twenty round GI mag since outwardly they appear almost identical. The follower design is different. The 6.5 mag follower looks a lot like a Magpul follower compared to the GI mag. The distance between the feed lips on the 6.5 mag was right at a half inch. Now, in the grand scheme of things this could be just the difference between two different manufacturers. Or the added 0.035? feed lip gap might be intentional to allow the round to sit higher for better feed reliability. Who knows. I know in years past I?ve actually used standard 5.56 mags with 7.62x39. You just couldn?t load them past about ten rounds before you ran into problems. In my experience you can use Pmags if your only loading 3-4 rounds, more than that and the sides start to bow or flex and you run into feed issues. I have ASC stainless mags and Elander. For the money ASC is my choice. I had to tweak and deburr the feed lips on the ASC mags to eliminate scratching the brass.